The roster for the United States team that will compete in the Rugby World Cup was announced today. Not exactly Johnny-on-the-Spot with the news. Since I’m thousands of miles from where the team announcement was made, I’m writing the rugby part of this post mostly from the press release sent out by the Eagles staff. Three players from the Seattle Saracens are on the world cup team: Olive Kilifi, Louis Stanfill and Shalom Suniula. Olive Kilifi with the ball. 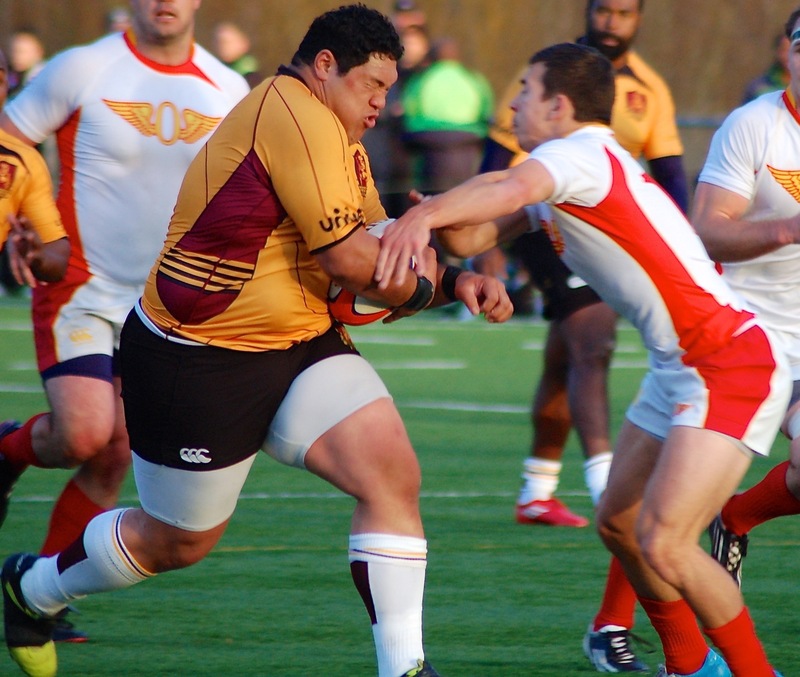 Kilifi, 28, is 5-foot-11 and 260 pounds and has played for the U.S. 10 times. Stanfill, 30, is 6-foot-3, weighs 250 pounds and will be playing in his third world cup, held every four years. Both Kilifi and Stanfill are forwards. Suniula, 27, 5-foot-9 and 191 pounds, is a back who has played for the U.S. six times in the 15-man game and 42 times in the seven-man game, which is the form of rugby that will be played in next year’s Summer Olympics. The Eagles are in Chicago for a game this Saturday at Soldier Field against Australia. They lost over the weekend to the Harlequins, an English professional club. I’ll miss the Aussie game, too. But we are in England. 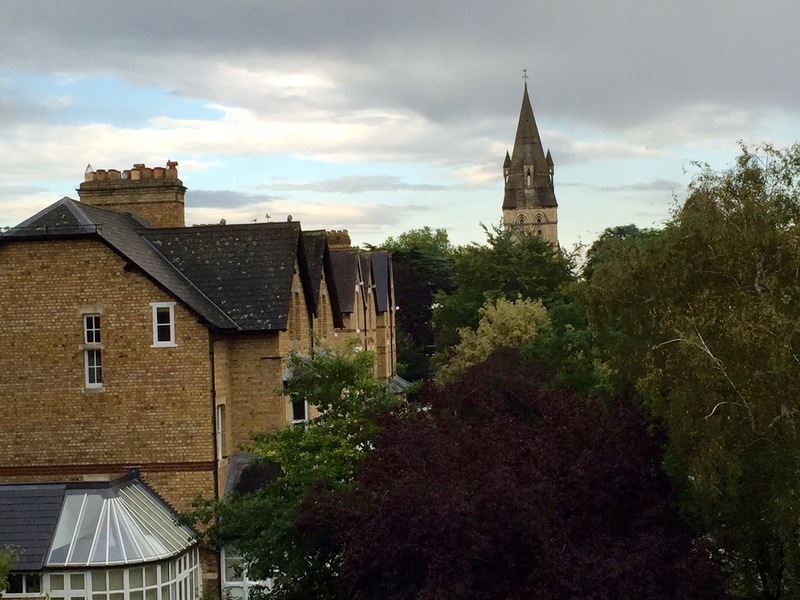 In Oxford in our fourth floor apartment with no closets and windows that date to the 1870s. The flight from Seattle was nine hours of the most uncomfortable I have ever been in a plane. My seat would not recline, my knees hit against the one in front of me and my back spent the flight torqued in one odd position. We bused from Heathrow to Oxford, took a cab to the apartment and struggled up four flights with the monster bag we brought with us. Thank God getting it back down will be no problem. We can just throw it out the ancient windows. Time for jet lag to catch up with me. Great introduction from somebody who actually knows the game! Look forward to your reports. You got there in plenty of time for it. Are you going to start training so that when it starts in 18 days you are in shape? And I know you don’t even drink any longer.